In the mid/late-’80s, the rock scene was hard to decipher. With an over-saturation of new bands either aping Led Zeppelin’s boogie woogie metal or glam pop candy, older rock fans were left scratching their heads in bewilderment. 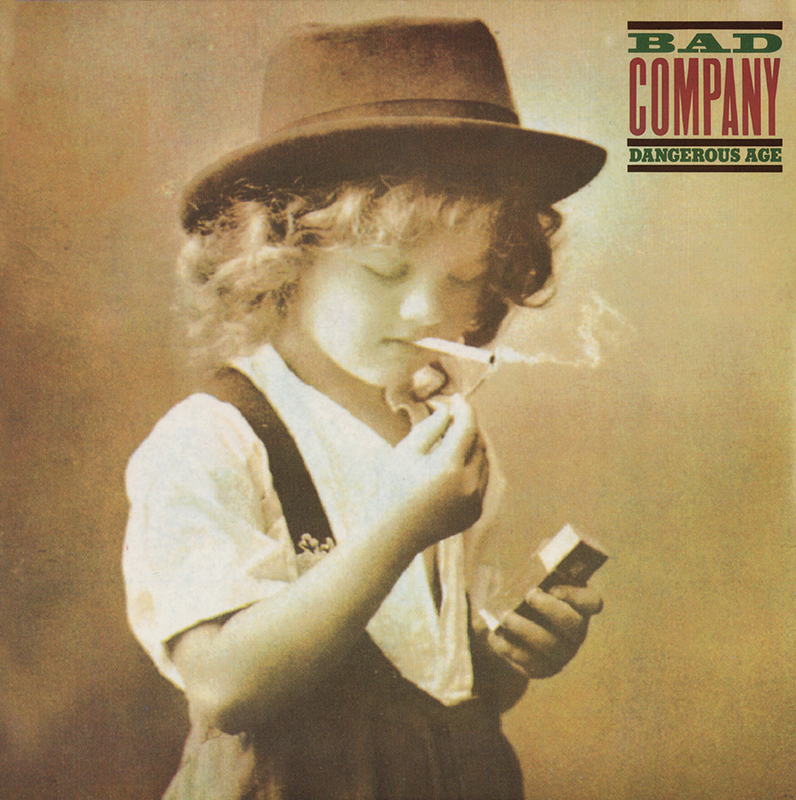 Lucky for them, such classic rock bands as Bad Company made strong returns, as proven by 1988’s DANGEROUS AGE. Like the band’s other ’80s recordings, the songs are slightly more commercial than their grittier ’70s output, with such titles as “No Smoke Without A Fire” and the title track being highlights. Though no longer fronted by vocalist Paul Rodgers, the band were still capable of churning out some respectable Rock ‘N’ Roll. Recorded at the Farmyard, Little Chalfont, England, Dangerous Age is the eighth studio album by hard rock band Bad Company. It was their second album with Brian Howe as lead vocalist and Steve Price as bass guitarist. It helped bring the group back into the spotlight, with major radio airplay for the tracks “No Smoke Without a Fire”(#4), “One Night”(#9) and “Shake It Up”(#9) all reaching the top 10 on Billboard Magazines Album Rock Tracks chart.